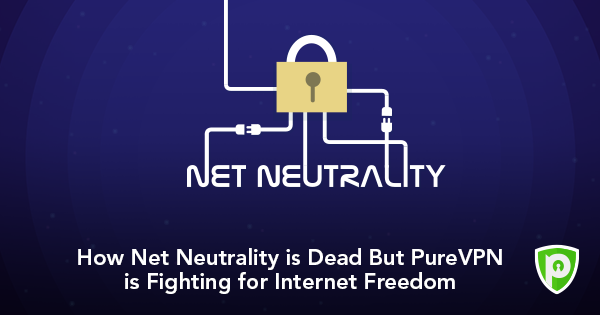 With internet users in the US exposed and left at the mercy of Internet Service Providers (ISPs), they are turning to VPNs, especially PureVPN, to reclaim their right to privacy and to access the content of their choice without facing any discriminations. Hong Kong, June 13, 2018	(Newswire.com) - The FCC has restored the Internet Freedom Order, repealing and replacing the Obama-era Net Neutrality policy. Net Neutrality Rules or the legal cover protecting internet users against content discrimination have been effectively revoked and repealed as of June 11. It’s ironic to notice that while the name of the FCC’s new order implies more internet freedom, it’s anything but that. In fact, it severely cuts down the already limited freedom of the internet users in the US. The future of Net Neutrality policy was effectively sealed back in December 2017 by FCC chairman Ajit Pai. His Internet Freedom Order was approved in a 3-2 vote, and it went into effect on June 11, 2018. The new ruling gives a massive upper hand to internet service providers and allows them to do literally whatever they like. As ridiculous at this sounds, it’s true as the new order allows ISPs to indulge in paid prioritizations, throttling, and monitor the traffic being transmitted on the internet. While it will take some time for the real, destructive effects of the new order to become completely visible, internet users in the US should get ready to see the internet take on a very ugly shape in the coming days. The past trends and events stand witness to corporate greed and accurately predict what’s coming next. Just a decade ago, Comcast was caught tempering with the traffic of internet users, specifically targeting P2P or peer-to-peer traffic. The service provider wasn’t just tempering but was also caught throttling the traffic in the guise of managing network quality, violating users’ rights. Travelling back 18 odd years in the past, we see AT&T outright blocking Voice over Internet Protocol (VoIP) apps. In 2009, the service provider negotiated with Apple to block VoIP calls made over its wireless networks. Other notable incidents include Verizon not allowing Google Wallet on Samsung Galaxy Nexus phones on Verizon and MetroPCS demanding additional charges from users to access and stream YouTube. PureVPN has always been vocal in its support for every internet user’s freedom to access the content of their choice whenever they want and from wherever they want, with complete privacy. The VPN service had taken a clear stance and had joined the fight to stop the repeal of Net Neutrality rules. The VPN service has reported a sudden surge in chats, the majority of which were about Net Neutrality and how internet users could protect themselves from the effects of the new rules. The VPN service has reiterated its firm stand against any content-based discriminations and has vowed to continue fighting for the rights of internet users in the US. PureVPN is a leading VPN service that was established with the aim of providing users with complete internet freedom. Founded back in 2007, it boasts 2,000+ servers in 180 locations worldwide. PureVPN names Binance Coin - one of the most promising digital currencies out there today - as its preferred method of payment. PureVPN's Buy One Gift One (B1G1) deal allows users to help their loved ones enjoy the same level of Internet freedom as them for a month.